Stora Rytterne Church was probably built in the second half of the 1100’s. It was considerably extended to the east in later years. The rib vaults and vestery were constructed at the end of the Middle Ages. In 1738 the three sided chancel was added. 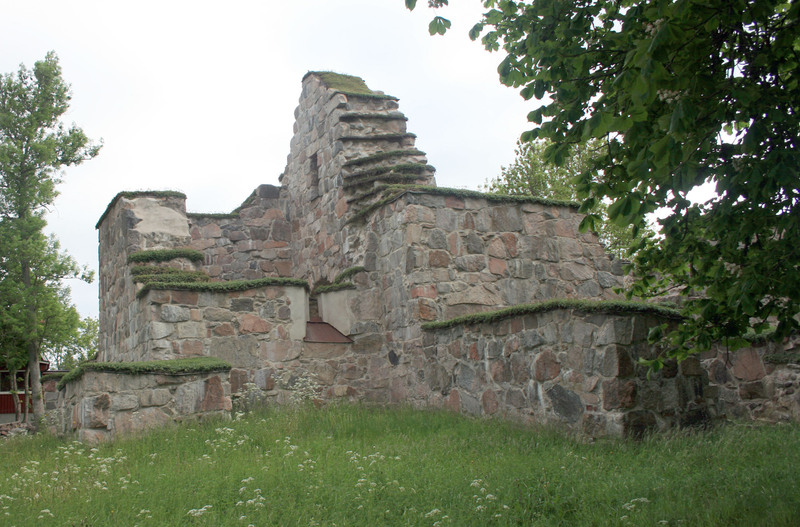 In 1815 the parishes of Lilla and Stora Rytterne were combined and shared the building of a new church. The last service was held here on May 31 1818. The ruin was excavated in 1937-38. the finds include a stone with a cruciform inscription and ruinic stone.